In books dating far back, I have noted various episodes in my married life joys and sorrows, births, marriages, deaths, happy children, and dear friends—but now some of my grand-children beg me to go further back still, and record some of my earliest impressions, and some pictures of the old town of NEWCASTLE as I knew it long ago. I was born in the year 1838 (12th September) at 6, SUMMER HILL GROVE, NEWCASTLE, the house to which my dear mother had come as a bride. The house was then quite near the country, and looked from its windows across fields and river to RAVENSWORTH, with but very few intervening houses—(so my mother tells) the Shot Tower being one prominent object. At the top of the row. I remember there was a hedge on which purple and white convolvulus clustered, and beyond this hedge extended the large and beautiful garden belonging to SUMMERHILL, the house, when I knew it, of the Priestmans. It has long since been pulled, down, and St. Matthew’s Church stands nearly on its site, while the beautiful garden is covered with unattractive houses, York Street and Lancaster Street etc. The Elswick Road of to-day was then a pleasant lane, and at the top of Rye Hill there was a stately tree. The prevent Elswick Cemetery was the “Rabbit Warren” of our childhood, where, among the trees on the most hilly part, we used joyfully to picnic. Denton Dene was a further and delightful walk—in real country—with no Scotswood. and Leamington houses crowding round its lower end; while “Paradise” was a true Paradise to us. A pretty house close to the river, the entrance to the garden being through the gate of the whale’s jaws—now a rare sight, but common enough when whalers voyaged to the far northern seas for whales. Old Daniel Oliver and his family lived in this Paradise, (the grandfather, and I think, before that, the great grandfather of the present Prof. H.W. Oliver, of Kew). Below the house great timbers were lashed together on the river, and on their uncertain holding, we children used to love to play. A wilderness of bricks and smoking factories has displaced all that pleasant home with its surroundings. This referred to the great flood in 1771, November 17th. (see the local historian’s Table Book, Vol.2. page 199, for an account of the terrible flood.) when the old NEWCASTLE bridge with houses on it was swept away—a memorable historical landmark. You can imagine how telling—told in the vernacular Tyneside dialect—these answers of the old man would be. I was sent to school when I was only three years old (probably to get a troublesome child out of the way). The house still remains, but all built up in front; an old tiled house just below the Westgate entrance to Summerhill Grove. Mary Jane and Phoebe Goundry, afterwards Mary Jane Tennant and Phoebe Clark, kept this school, and one of my earliest recollections is of your grandfather (Robert Spence Watson) being shut up in a dark closet, and my childish pity for him, when he was crying lustily. He was fond of telling that he was fond. of me, and at that early age, asked me to be his wife, and he laughingly said he had. never made another offer till he asked me again But we saw little of one another for many a long year after this, and I daresay our youthful affections were often in the interval—centred elsewhere It was about this time also—the exact year I cannot tell—that our whole family voyaged by sea to EDINBURGH. Our grandfather, John Wigham, who lived in a pleasant house in Salisbury Road, not far from Arthur’s Seat, had a cottage at LANGNIELDRY, on the coast, a few miles from EDINBURGH. At this cottage, bathing from it in the sea, and running wild barefooted over the Links, we spent many happy days. We returned home to NEWCASTLE by rail as far as BERWICK, thence for the rest of the journey by coach, for the railway was only half completed. If I remember rightly, we alighted at the old. Turf Hotcl in Collingwood Street, the site of which is now covered with Lloyd’s bank. This is a good place to mention that, until the High Level Bridge was built by Robert Stephenson in 1850, and opened by Queen Victoria, we had to drive or walk across the old bridge of many arches—now replaced by the Swing Bridge, and. take the train at GATESHEAD, either for SUNDERLAND or the South. The GATESHEAD station was, I think, very nearly in the same place as the present one, but on the north side of the railway. When the picturesque bridge with houses on it was swept away in the great flood of 1771 and before the next, the one with many arches of which I have spoken, was built, the journey across the river was by boat, and tedious enough—but this was before my time. My next school was at Mrs. Gethings when I think I was about seven, in Westmoreland Terrace, and afterwards (or perhaps before) in Elswick Row. My great, and I expect, only feat at that school, was repeating the whole of 1. Corinthians 15—54 verses—and receiving 4d as a reward! I remember being brought away from school one day, to see my grandmother, Deborah Richardson, at 3, SUMMERHILL GROVE, when she was dying. I think I was rather a favourite of hers, for I remember once when she had thought me very good in meeting on a 4th day, she took me to Bell the Confectioner’s afterwards, and bought me twelve sponge cakes and one pound of barley sugar. (untold riches in these days, 1918). My mother presently locked them up—to be gradually consumed. I should say many of the children in those days sat on “the little form”, a form drawn up so that the step formed a footstool. The arrangement is altered now. We were then under the very eyes of our elders, and my ‘goodness’ only consisted in awe! Books in my early days were scarce for children. No nursery rhymes illustrated by Caldecott’s genius, no pretty Kate Greenaways, no Mrs. Molesworth’s charming stories, none of Mrs. Lowing’s delightful tales, nor of Mrs. Gaskell’s—although Miss Edgeworth’s and Harriet Martineau’s a were a fund of interest. (Simple Susan now seems a little too goody goody—the irreproachable “Susan”, and the disgusting “Barbara”—but Harriet Martineau’s “Playfellow” stories, “Feats on the Fjords” etc., can surely never lose their charm either for old or young). So Rollin’s Ancient history and other more sober books interested us young folks, and Rollin, although thought to be somewhat of a romancer, did inspire his readers with ardour (perhaps too martial!) for the old Greeks in their battles of Salamis and Marathon etc., an ardour intensified in later days by the poetry. About this time my brother John and I were allowed to have a pony, by my father, on condition that we took the entire charge of it. This was a great pleasure. I learned riding in the best possible way, either with or without a saddle, and often we used. to ride, two on the pony, one in front and another sitting behind. We became proficient too, in saddling and bridling and feeding—and many a time I have cleaned out the stable, which was a little wooden building at the bottom of the garden. Later on we had. a phaeton, so I also grew conversant with harnessing and driving. The only time I was thrown from a horse was one day when the pony had managed to break loose and get to the corn-bin. An extra feed of corn had made him frisky, and in cantering up Benwell Lane, he frisked and kicked, and finally unseated me. I was riding with my cousin James R. whotold me afterwards that he took me to Benwell Well, and washed my face, and then went on with the horses, leaving me to walk home. This incident I never remembered, but in walking home, an old woman at the toll bar asked me if I had not been riding before (for I had whip and riding habit), I said I could. not remember. We used to bring straw from the glue factory stable, then in Gallowgate, carrying great bundles of it on our backs, down Bath Lane, and up Westgate Hill to SUMMERHILL GROVE. I also kept silkworms, feeding their voracious appetites on mulberry leaves from a tree near by. It was extremely interesting to watch their habits, and to see the changing of their skins, the transformation into chrysalises, the spinning of silk on the cocoons, and the final change into moths. After leaving Mrs. Gethings School, I was taken in hand by my sister Anna Deborah, a teacher with intellectual ability, understanding, and sympathy, one with whom it was indeed a pleasure to learn. My brother John was my companion for the first year until he vent to a boarding-school, and afterwards Priscilla Mennell (later Clapham). I uecd. to walk across the Leazes every morning, and so to the Hennell’s house at the foot of Eldon Street, and. together Priscy (who was rather lame) and I walked back to SUMMERHILL GROVE for our lessons. When I was twelve years old—in the year 1851—I went to a Friends’ School at LEWES in Sussex, where my sister Anna had been before me. LEWES was the home of my mother’s very dear friend Sarah Rickman, a very gifted woman, with extraordinary powers of handiwork, and of clear and vigorous understanding. I think it was probably her presence and influence in LEWES that induced my parents to select that school. 1861 was the year of the first great Exhibition—originated and promoted by Prince Albert—and intended to inaugurate the era of Peace and Goodwill among the nations. Alas for the dreams and hopes of Internationalism! Only a year or two elapsed after that famous Exhibition before the Crimean War broke out—a war which involved such awful suffering—a war which is now allowed to have been needless (as most wars are) and which John bright rightly characterized as “a crime”. My sister Anna took me to LONDON, and we stayed a few days in lodgings, having Anna Mary Wigham (also bound for LEWES) with us. We enjoyed seeing the wonders of the Exhibition and other sights of the great city, and were then taken on to LEWES. All my first year at LEWES I did not come home. It was a much longer journey in those days, and could not generally be accomplished in one day from NEWCASTLE. The school terms were two half years—not three terms as now in most schools. But A. H. Wigham and I were kindly asked to stay with some friends at STAINES—two families of Ashbys—who were very kind to us, and although it was hard not to be at home, we were happy there, though shy enough, I expect. I do not think I at all appreciated as I should have done, the kindness of asking a little stranger girl to their family circle at Christmas time, but I hope my parents made amends. Rather before the end of the half year, or rather my year, in June, my sister Caroline, the beloved. “Aunt Car” of later days, and Aunt Anna Richardson (afterwards married to Robert Foster) came for me, and we all travelled to Windermere by night. I remember we went to a little inn at KENDAL in the early morning, where the hot coffee for breakfast was the most delicious that I ever tasted. Then the coach ride to KENDAL was Paradise! How I leapt down from the coach at Nab Cottage which my dear parents had taken, and was greeted by eager brothers and sisters! The delights of that first visit to the dear Lake country can never be forgotten—the lakes, the mountains, the walks, the flowery ferny mossy walls, the boating, the enchantment! On one occasion, some of us went up Fairfield very early in the morning; my mother riding part way on a pony, but alas! thick mists intervened between us and the sunrise we had hoped to see. Black Coombe, Helvellyn, the Duddon Valley, and many other excursions I recall with delight—excursions since become so familiar, when I the child became the mother, and took my children to those dearly loved haunts; and now (1918) how many grand-children also have shared in the pleasure! I remember the delicious butter we used to get, l0d a lb. (think of it in these war days!) and the eggs—in abundance—5d. each now. We used to drive to the dear little Colthouse meeting at HAWKSHEAD (now hallowed to my thought by my beloved Ruth’s marriage there in 1922 to Edmund J. Gower) and how full of beauty was the way—the very walls by the roadside with their crannies green with fern and moss, and golden with stonecrop—revealing ever new charms. When these delightful weeks at Nab Cottage were over, we went to our new home at BEECH GROVE, leaving SUMMERHILL GROVE. This was in Elswick Road—Elswick Lane as it was then called—a larger and more commodious house, with a little plantation above, and a pretty garden stretching down to what is now Westmoreland Road. The western end of the house, much the smaller, was taken by our dear Aunt Anne Richardson (afterwards Anne Foster). There were two entrances, but a door inside gave ingress, when desired, to either house. BEECH GROVE was our delightful home for several years, until the Bank failure in 1857 made it necessary for us to leave it, and go to a smaller house in Rye Hill. To go back again to school days, my three years at LEWES were very happy ones. Miriam, Mary and Josephine Dymond were, to my mind, ideal heads of a school. The teaching was probably not nearly up to present-day standards, but they had the gift of sympathy, and the power of interesting and inspiring—the real essentials of a successful teacher. Josephine Dymond was beautiful, with very fair complexion, and deep violet blue eyes. and a tall and stately presence. Many of us girls adored her. The moral tone of the school was good; I think, like Dr. Arnold’s boys, we should have scorned to tell a lie. We were trusted, and returned trust by love and devotion. I made many friends, especially with Margaret Waterhouse, Mary P. Hack, and Martha Gibbins. There were few of the luxuries found in modern schools; the food was of the plainest, never meat or eggs for breakfast, and only bread and butter and water for supper, but the health of the girls was very good, and I do not remember any complaints. The playroom and play-ground were small, but the walks on the Downs were greatly enjoyed. We used to walk two and two according to height through the town, then separate and wander about with chosen companions, meeting again after a certain time for the return walk. Well do I remember the joy of sliding down the steep grass slopes of the ‘Coombe’, and of gathering sweet violets in February, in the lanes and woods. As a really remarkable instance of trust in the pupils, I may mention that once a half, the girls were taken to BRIGHTON—then not the large and fashionable place it is now—and allowed to wander about on the beach, or take a drive, or a ride on a donkey until the time came to meet again for the return journey. This liberty may have applied ‘only to the older girls—I cannot remember—but I know what extreme delight the excursion and the freedom gave us, and I do not think there was ever any infringement of the trust. The girls were encouraged to take an interest in scientific matters, and the Friends of the little meeting were asked once a half to spend an evening to hear some essay, or see some mechanical contrivance. And so it came about that two of us, I think it was Martha Gibbins (afterwards Hack) and I had the temerity to manufacture a rude electrical machine, with stool and Layden jar all complete for the giving of shooks! and I suppose we, imperfectly enough, explained the working to the assembled Friends, teachers and girls. Our German master had the art of inspiring us with enthusiasm, so that Schiller’s ballads became a delight, and Martha and I even attempted a jingling version of the long poem “The Song of the Bell”. We read the English poetry of Mrs. Hemans and Longfellow—the beginnings of a. wider range and deeper love later on. I used to rise at 5.30 in summer; after a bath, rush round and round the playground, or jump on the jumping board in the shed. School began at 7 for one hour before breakfast—a pretty long wait till 8 o’clock. But I never remember any serious or infectious illness at the school, only occasional headaches. I was sorry to leave this delightful school, which I did in my 16th year, but I was eager to pursue my studies at home, and read much in a desultory fashion. It was not long after I left LEWES that Josephine and Mary Dyinond paid us a little visit at BEECH GROVE, and I recall the pleasure with which I shewed them the beauties and interesting objects of our town. The view from BEECH GROVE stretched out over the garden to RAVENSWORTH and WHICKHAM, and was indeed one of great beauty. About this time, or rather later, Mrs. Stowe with her two daughters stayed with us for a day or two—an exceedingly interesting visit. My parents had always been strong abolitionists, and as a child I remember visits from Frederick Douglas, Wm. Wells Brown, the Crafts, and other coloured people who had escaped, or been ransomed from slavery. My cousins, Ellen and Anne Richardson, raised the purchase money for Frederick Douglas, who thus won his freedom. He afterwards became editor of a newspaper in America, and was made a senator of the state of Illinois. Long afterwards he came to see us at BENSHAM GROVE, the black hair of his young days changed to snowy white, He was a tall fine looking man, and made a great impression, having great natural abilities. To return to Mrs. Stowe. In the year 1854, there occurred the great fire arid explosion in NEWCASTLE and GATESHEAD. On the 6th October, there was an entertainment in the Old. Castle, to which I and my brothers went. The great Hall was lit up with flaming torches, the veteran Antiquarian, Dr. Collingwood Bruce lectured on the history of the Castle, and Scotch bagpipes marched through the galleries with their stirring music. About 11 o’clock that same night, & fire’ broke out in Hillgate (by the Quay) in GATESHEAD. It burned with great fury, attracting many people to the neighbourhood, when all at once there was a terrific explosion, so fierce and so strong that it actually hurled fiery masses of buildings across the wide river. These set fire to many old houses in NEWCASTLE, while innumerable windows were shattered, even those of the Friends’ Meeting House as far away as Pilgrim Street, and doing immense damage. Many people were killed and injured, and there were also some remarkable escapes. One of the strangest of these was that of an old man and his wife. A kerbstone had been uplifted by the force of the explosion, and hurled over the Church of St. Mary’s when it fell on the poor dwelling of this old couple. They, having heard the awful noise, sat up in bed, drawing up their knees. The stone alighted on the lower part of the bed, broke it down, and broke through the floor into the room below, but the old man and his wife were saved. The noise of the explosion was heard 20 miles out at sea, and 20 miles up the river. Sleepy I never heard it! The fire burned for many days in NEWCASTLE. The part which was burned in GATESHEAD has never yet been rebuilt, but NEWCASTLE has stately houses along the Quayside in place of the picturesque old buildings. The cause of the explosion, though investigated by many experts, was never discovered. During all this time, when personal thoughts and interests absorbed almost all my attention, what was going on in the great world around us? I have spoken of the great Exhibition 1851, and how its promoters hoped it was to be the inauguration of an era of Peace. Alas, for the record. of wars that followed! Almost immediately came the disastrous Crimean war—disastrous to our present (1918) Allies, the Russians, and. disastrous to us in the awful sufferings involved—even though a military victory was the ultimate result. As good. often comes out of evil, so Miss Nightingale’s noble work in relieving the sufferings of the soldiers, led to the organisation of trained nurses, which has been of such incalculable benefit to the sick of all classes. This work has been further enormously increased during this great war 1914. Just to speak of the wars which I remember, by no means chronologically, the Abyssinian. war—memorable for its many disasters (vide Miss Thompson’s—Lady Butler—picture of the last survivor and the Kyber Pass)—the Zulu War—the Ashanti war—wars in Uganda—the Chinese opium wars—the Indian Mutiny (1857)—the Afghan war—the South African war—the war in the Soudan. We profess to believe in Christianity, and in teaching Christianity to “savage people”, and this we do by fire and sword, and making the land of our enemies a desert. I should have mentioned, much earlier on, the visit to NEWCASTLE, of some American Red Indians—I forget of what tribe they were. I think my cousin, Anna Henry Richardson (Anna Henry as she was generally called) was instrumental in bringing them over. I remember some of them coming to tea at our house in SUMMERHILL GROVE, all in their “war paint and feathers”, and how I fell in love with a little boy about my own age, who was beautiful in my eyes. A little Indian baby was born when they were in NEWCASTLE, and it was called after “Anna Henry”, with a long-sounding Indian name besides. It died and was buried in the Westgate Hill Cemetery, a stone with inscription being put up over the little grave. When the road was widened many years afterwards, this little graver with many others adjoining, disappeared. The other thing I ought to mention was the establishment of a school at Cullercoats, the pretty little fishing village we all know so well. The fisher women were in the habit of coming up to NEWCASTLE, in their picturesque blue petticoats, blue stockings and buck1ed shoes—to sell their fish, which they carried in large baskets or creels on their heads. While they were away the children were, for the most part, neglected, and, to remedy this, and help the poor women, my Aunt Ann Richardson, my father’s sister, and my cousin Ellen Richardson, set to work, and, helped by many subscribers, they built the schoolhouse at Cullercoats, engaged a master and mistress, and even established a creche for the tiny infants. This, which only takes a few lines to tell, meant a great deal of hard work and energy and patience, and long after the school was built, these dear and devoted cousins used, to spend their holidays at Cullercoats, living in the little old, terrace where the only lodgings then were, in order that they might look after the school, and supply its needs. This was a great educational work, which deserves to be widely known. There was no national system of education in those days, a.nd this was a wonderful beginning. Long were the names of these good and self-sacrificing women remembered in Cullercoats. To them the fisher folk turned in many times of distress and anxiety, and never turned in vain; and, for their sake, the younger generations were always greeted with kindly smiles and welcome. When, in a great storm off the coast, seven men—I think all of them belonging to the Lisle family—were lost, I well remember the love and gratitude of the poor people for the help and sympathy bestowed. In 1870, when the School Boards came into existence, the Cullercoats school was taken over by the Board, and, although the education given may be in many ways more complete, the personal influence and help such as were given by these educational pioneers, were wanting. In personal matters, I have not mentioned the death of my dear brother Isaac, at 5 years old, a bright sunny boy with curly gold hair. His death was a terrible grief to my dear mother. Then my sweet little sister Margaret died when she was four years old, and I felt as if I could not bear the parting, for I loved her passionately. Of my later years, after I left LEWES, I do not care to tell. I think I led a busy and not wholly unprofitable life. I studied and read, and took part in some outside work, and enjoyed social life and walks and. excursions, but on the whole, I fear it was but a selfish existence, and I sorrowfully feel that to me the ‘Well done, good and faithful servant” could not, and, alas, cannot be applied. An episode in one of our journeys—long after these earlier records—I should like to speak of. So I found I was talking to the daughter of Alfred Percival Graves, who also wrote “Father O’Flynn”. The little village of CONGENIES is quite eastern in character, and the well by which we lingered, might have been that by which the woman of Samaria talked to our Lord. After a charming day, in which we (and also our coachman and horses) had all been bountifully entertained, we drove back to NISMES, rejoining in this episode in our journey, which seemed to bring nearer together English Friends and French Friends, and to unite us all in a brotherhood of love. Edourd Majolier, the husband of our friend, was in England, (he has since died). I believe he was related to the Christina Majolier who, I think, married Robert Allsop. 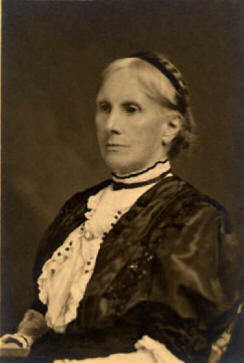 Miss Graves married a Mr. Preston, and lives in Egypt; I saw one of her daughters at Disley a year or two ago. Some coloured people came to England from South Africa to seek redress for native grievances. One of these, a Mr. Jabavu, had an introduction to us. My dear R. was ill at the time, but I invited him to spend the week-end with us. On Sunday, not venturing to walk into meeting with him—for he was quite black, and a very large and unattractive looking man—I drove in with him in a cab. This was the first Friends’ Meeting he had ever attended and so impressed he was that, when afterwards he went to Hampstead where his son was at College, he regularly attended Friends’ Meetings and became a member of the Society. He was a true gentleman, spoke beautiful English, and I have letters from him which could not be distinguished from those of any English educated man. His son was, through the help of Friends educated in England, also the native lady he afterwards married, and is now teaching in the native college founded in South Africa—I think near King Williams’ Town. Very scattered and unorganized are these reminiscences but another about skating may be of interest. In my young days, this was considered only a pastime for men, but some girl members of our family learned the art on a private pond we were allowed to use. A cousin of mine told me that a lady acquaintance said to her, “Of course only Quakers would do such a thing.” “Tempora mutandur et mutansus in illii” as my dear father used to say. On one occasion, to go to another subject, R. and I went down to Tynemouth to witness a stormy sea. The wind was from the south, and the sea between the piers was a mass of white foam. We little thought what we should see in that short afternoon. The tide was low, so that we could stand on the North pier, with other spectators. First a large steamer came in, got in between the piers, was dashed against the Southern one, was out in half as though it had. been a piece of cake. One half scuttled down and sank; from the other, close against the pier, all the crew leapt off and were saved. Next came a gallant little schooner with white sails—it seemed to have won through and to be safe, when a great sea rushed upon it, turned it over, and it disappeared. Then came in a ship which was dashed against the rooks which lie below the Spanish battery. It looked absolutely on the shore, but the cruel rocks and waves intervened. All the crew of this ship were saved, by the rocket apparatus. What an afternoon of tragedies—little thought of when we travelled down with the hope of seeing only a fine sea. These impressions cannot fade away—and yet now (1918) how many ships are sunk—not by wave and wind, but by man’s cruel purpose. Such is war! I add these interesting reminiscences written for my 80th. birthday by my dear Cousin EMMA PUMPHREY. If thou hast not a copy of ‘The Pilgrim’s Way”, please accept this little book on reaching the 80th. milestone of life’s journey. I have enjoyed some of Quiller-Couch’s historical stories as they came out, and this compilation of his is interesting. The quotation in his preface from Fenelon is good for us all. I see he advocates going on pilgrimage, a custom we were early taught. Thy Pilgrimages have been and far. I recall two in the days we both were young—both intimately connected with your immediate family. The first occurred when Maria Voight was on a visit to Beech Grove. Uncle Edward had arranged a driving tour over the BORDER and a message came to say there was a seat to spare, might I go with them? I was therefore hastily got ready. The party was seven in number—Uncle Edward, Aunt Ann Richardson, Anna Deborah, Caroline, George William, Maria and myself. The carriage was of the family coach description—two places by the driver, and ample room for five inside. It closed or opened according to weather conditions. Uncle Edward, always fond of horses, took the reins himself, and George had charge of the drag, which was a slipper, and hung at the back by a chain; at the top of a hill it was adjusted on the ground to one of the back wheels, and at the foot the carriage was brought to a stand, and backed to release it. There was no hurry in those days. We were often out to walk the hills, and enjoy everything in passing along. While the horses were rested, we visited BRINKBURN PRIORY as the first stage, and travelled on to WOOLER, and so over the BORDER to MELROSE. Here we staid a week, visiting all the places of beauty and interest on that part of the TWEED, dominated by the EILDON HILLS. Thence by easy stages we drove through that part of ROXBOROUGH comprising the fine BUCCLEUCH Estates, with NEWARK TOWER, the YARROW and other streams over which the romantic of Sir Walter Scott has shed never dying lustre. We recrossed the BORDER by CARTER FELL with the CHEVIOT range standing hand in hand across the landscape. I think it was in 1854 that I made my first trip to the Continent. Again the party consisted of seven—my parents, and Aunt Ann Richardson, myself, David, Sarah Ann and Jane. We got our passports signed in LONDON for foreign travel by Lord Granville, and went direct to PARIS. Here we were met by Ann Deborah, who was residing there with her brother Edward, who studied Chemistry under French savants. Anna had procured rooms for us, and made a capital guide to all that was best worth seeing in the city. One visit of special interest to my mother was to the Hotel des Invalides, where repose the remains of Napoleon Buonaparte, whom she had seen when a girl of 13, a prisoner of war on board the Bellerophon in Plymouth Sound. Bidding good-bye, we went on by rail to BASLE, where my father hired a sort of char-a-banc carriage, two horses and a man named Henri, to drive through SWITZERLAND. No railways there in those days, and I wonder what George Stephenson would say could he see the descendants of his Puffing Billy creeping up the sides of snowy ALPS. We travelled by the JURA route, stopping to see the watch and clock makers at the little Factories, and by NEUCHATEL and other picturesque places. Arrived at GENEVA, our home letters saddened us by accounts of the death of your little sister Margaret—the little pet lamb of the family—frail at the best, a flower gathered to bloom elsewhere. We steamed up and down the Lake, and resumed our carriage, I think, at VEVAY. Were greatly impressed by the magnitude and majesty of the ALPS, capped by their eternal snows—the BERNESE ALPS, INTERLACHEN, and back to BASLE. There we parted with our man Henri and his horses. We took to the RHINE, and by stages kept to it till ROTTERDAM was reached. There the “CHEVY CHASE” lay in dock ready for passengers wanting the Tyne, so joyfully we went on board, had a very smooth crossing, and arrived at the mouth of our coally river to find the tide too low to cross the Bar; so, instead of waiting, we were put ashore in a small boat, and landed on the Black Middens, and scrambled up the Haven, where James met us. What wonders we have seen, and how delightful home was again! How all this comes back to me in this my old age! Dear Elizabeth, we have both tasted the bitters as well as the sweets of life. In contemplating the sorrows and privations of humanity to-day, the only thing we may truly say is that trouble fills the cup and runneth over. Yet side by side with it, do we not see also that other cup of love and sympathy that Robert held which is also full and. runneth over. Therefore let us be of good courage and hope to the end.